Do discounts/markups and taxes included in quotes carry over to corresponding invoices? No. There is no direct connection between quotes and invoices so the discounts/markups and taxes do not propagate automatically. So far, the only way to be sure that you didn't miss a discount or tax is to double-check. 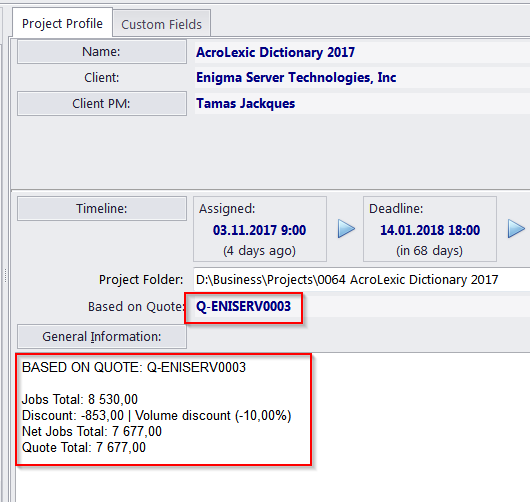 Projects created from quotes record the code and totals of the quote, as well as the Discounts/Markups and taxes.